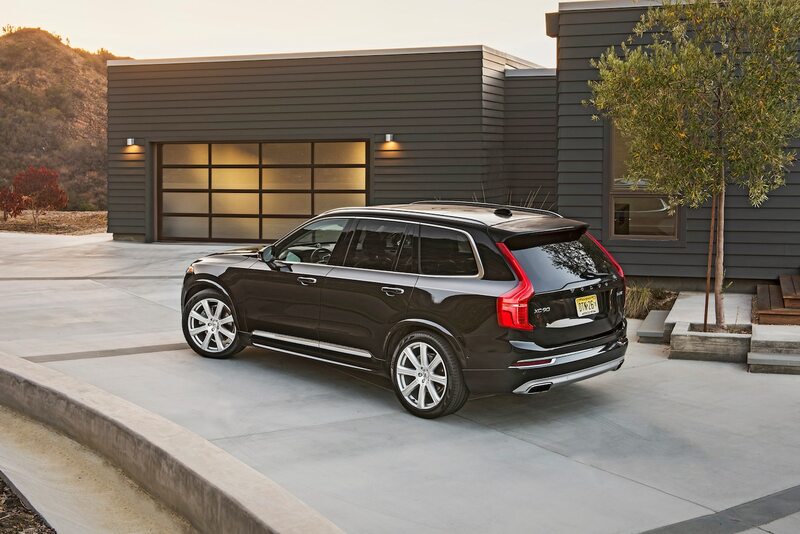 The first thing many of us noticed about the new XC90 is how it reminds us of the Volvos of our collective 1970s and 1980s youths: a perfect box, far more concerned with utility than sexiness, yet so exquisitely crafted that it screams expensive. 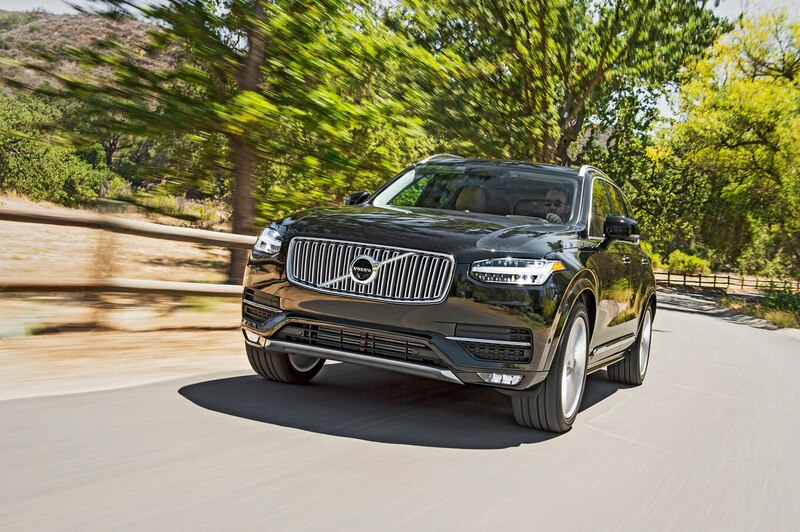 We’re not talking about the XC90 itself. No, this is about its key fob. It would be a frontrunner for the 2016 Motor Trend Key of the Year award, were there such a thing. 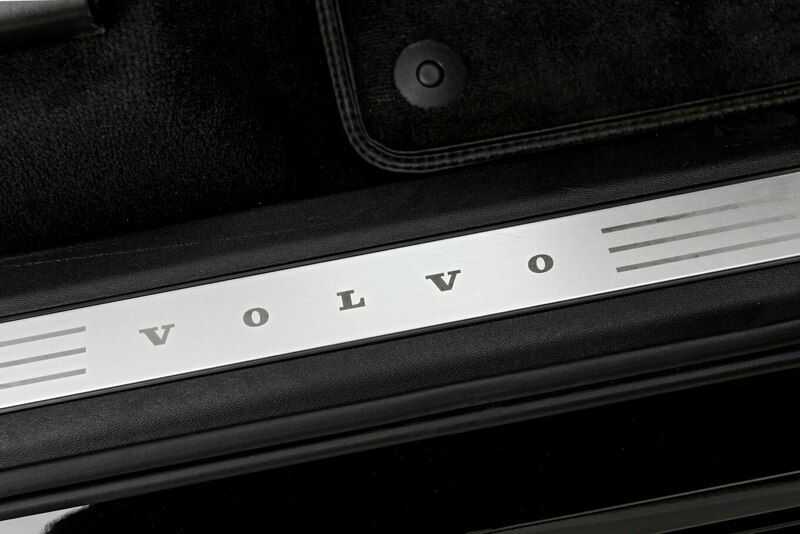 The device that grants access to this Volvo is roughly the same form as a matchbox, though a touch smaller, and lined with the same amber Nappa leather that’s stretched across the XC90’s three rows of seats. It slides perfectly into your pocket and is adorned only with a raised Volvo logo; its silver buttons are on the side so you don’t accidentally press one while walking. 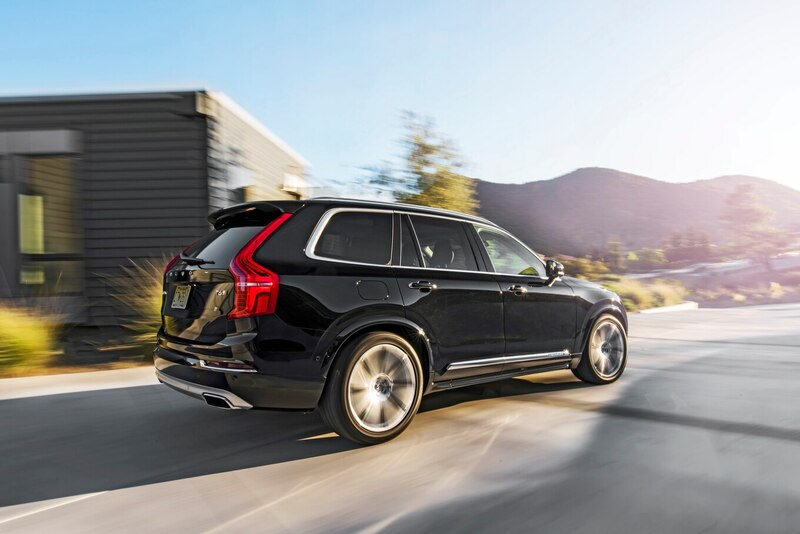 Something so simple as a key shouldn’t even be worth mentioning, but the Volvo’s transponder makes a stunning first impression while also providing a perfect preview of the SUV itself. 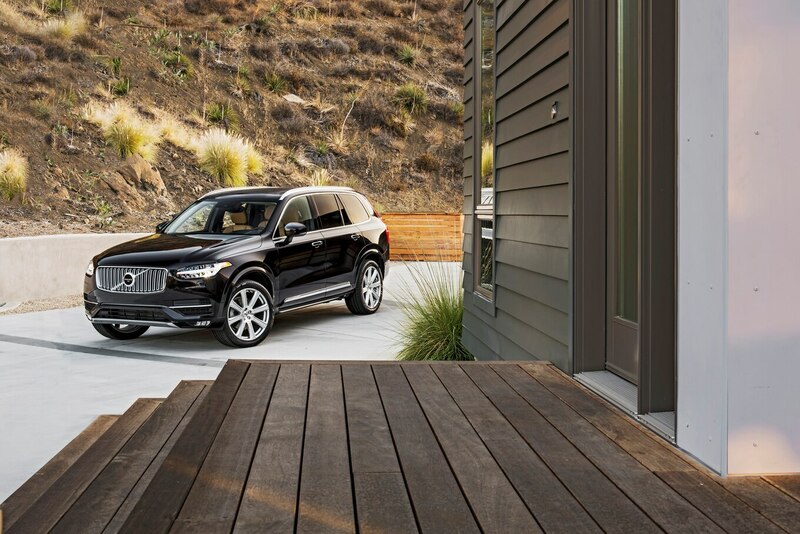 The Volvo XC90 is functional, elegant, and above all different. 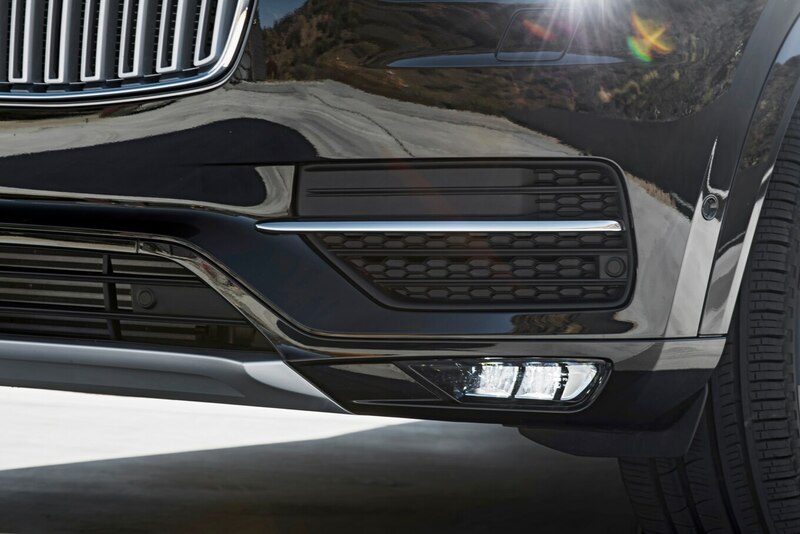 This is an entirely new vehicle from a car company that has taken a step back and reinvented both itself and the luxury three-row SUV. 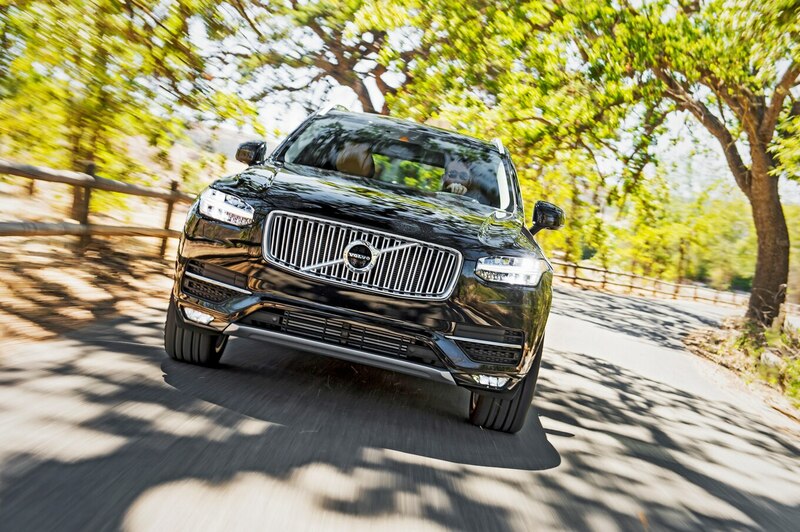 The XC90 isn’t just our SUV of the Year – it’s also a captivating work of art, inside and out. 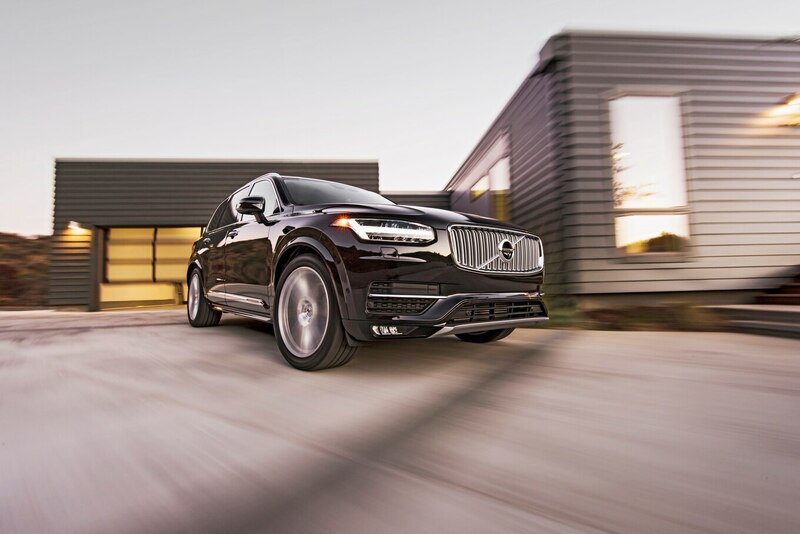 Volvo may be a household name, but it’s a tiny player in the automotive space. Toyota produced nearly three times as many Priuses last year as Volvo made cars. In the U.S., BMW hawks seven cars for every one Volvo sells. We’re accustomed to hearing about the prohibitive expense of developing new platforms, even from the biggest and richest car companies. Indeed, the last platform that Volvo developed independently entered production almost 20 years ago. 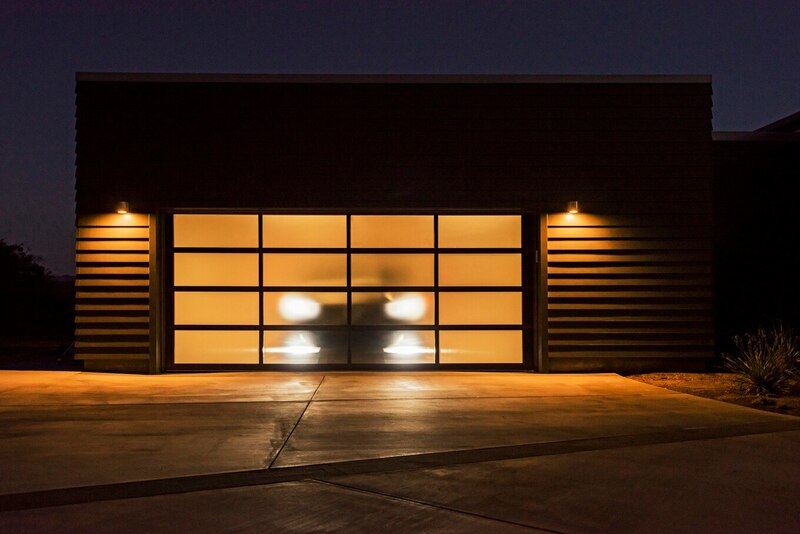 It’s still perfectly goodâit underpins a number of brand-new Ford models that we like just fineâso you’d think a small company like Volvo would just make small, incremental improvements to it. You’d be wrong. 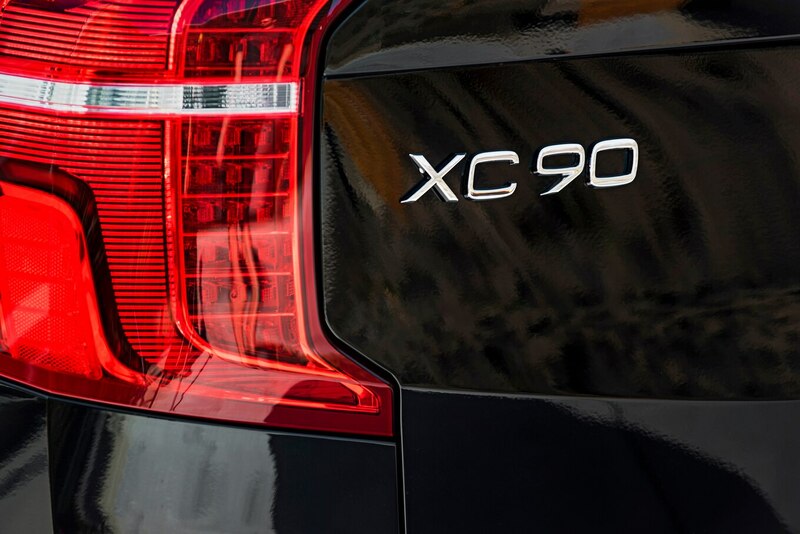 The XC90 debuts Volvo’s brand-new “Scalable Product Architecture,” which, like its name suggests, will be used on vehicles of differing sizes. It features a no-baloney unequal-length control-arm front suspension and a multilink rear with an unusual transverse leaf spring made of composite plastic. 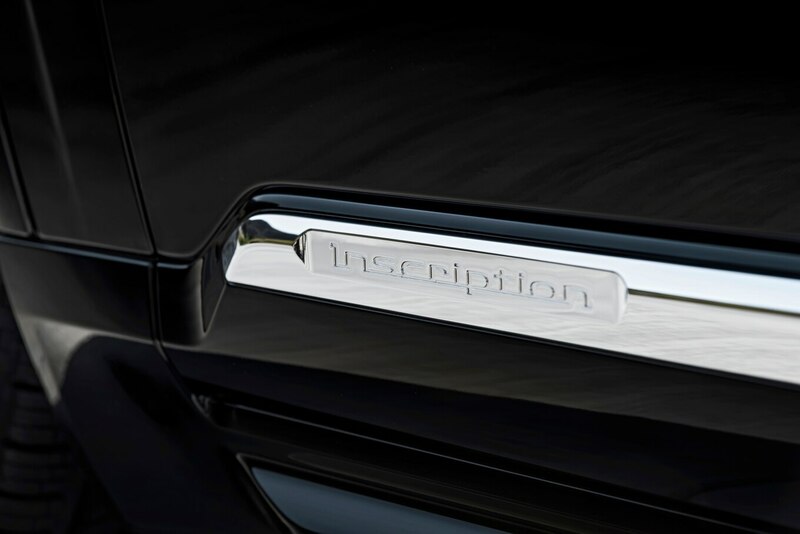 (Our fully loaded Inscription model’s air springs replace the transverse leaf, however.) 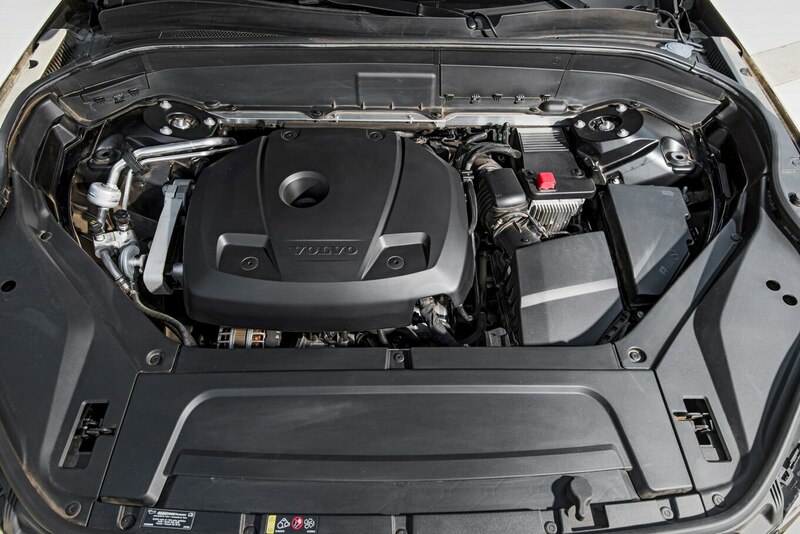 What’s under the hood also is entirely newâand the sole engine is a 2.0-liter four-cylinder. A four-banger in a 4,720-pound truck? Not to worry; the thoroughly modern, direct-injected mill puts out a stout 316 horsepower and 295 lb-ft of torque thanks to forced induction. 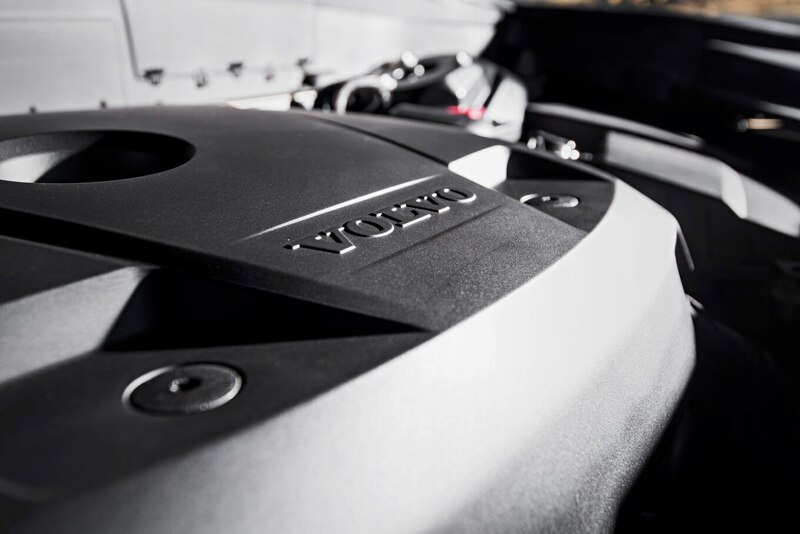 Squeezing 158 horsepower per liter requires a big ol’ turbo, which normally would mean big ol’ turbo lag. 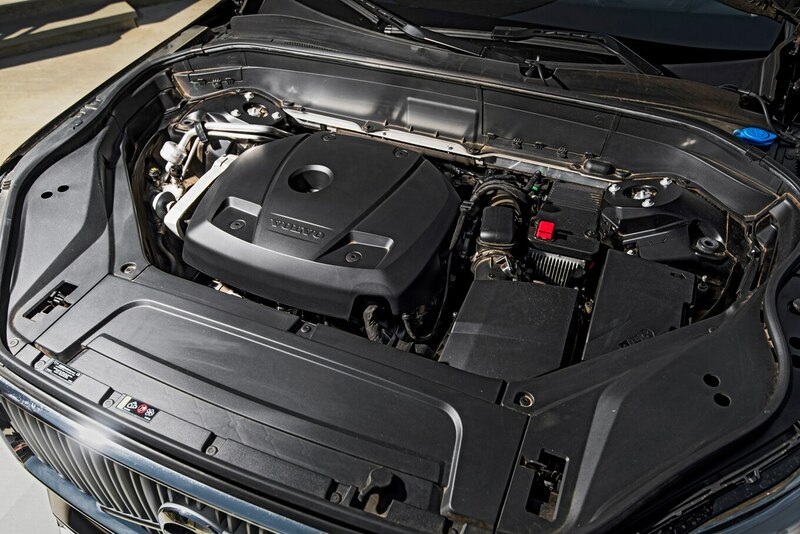 To solve that, Volvo installed a small supercharger to provide boost when the turbo can’t. It works great, with instantaneous squirt from all engine speeds and just the occasional, slight surging as the computer moves around the boost duties. Flat-out, the XC90 raced through the quarter mile in a 15.1-second dead heat with our second-place finisher, the almost identically sized Honda Pilot. It also tied the Honda‘s 22-mpg EPA combined ratingâso to what end the complicated, expensive twin-charged engine? Refinement. The boosted four produces huge torque at low revs, so it provides mellow muscle when you’re not in a hustle. It’s also quiet and refined at the top of the tach scale, unlike the Pilot, whose big V-6 fills the cabin with enough NVH to scare the kids. 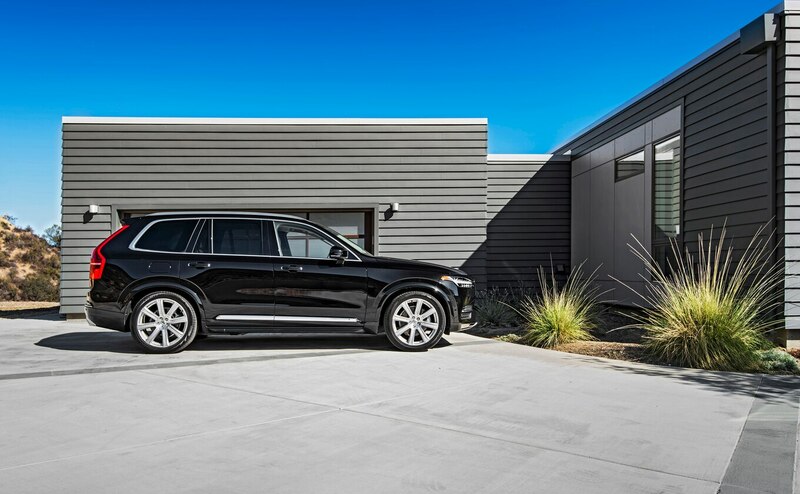 For now, all-wheel drive is standard equipment on the XC90, and the only powertrain option is an upgrade to the T8 model, which Volvo claims is the world’s first seven-seat plug-in hybrid. The T8 uses the same engine as our T6 (minus 3 hp), but power created from the exploding dinosaurs is transmitted only to the front wheels. The T8’s rear wheels are driven by an electric motor rated at 87 hp and 177 lb-ft, giving the hybrid a total of 400 system horsepower. A 9.2-kilowatt-hour lithium-ion battery mounted in the center of the vehicle provides up to 25 miles of range on electric power. 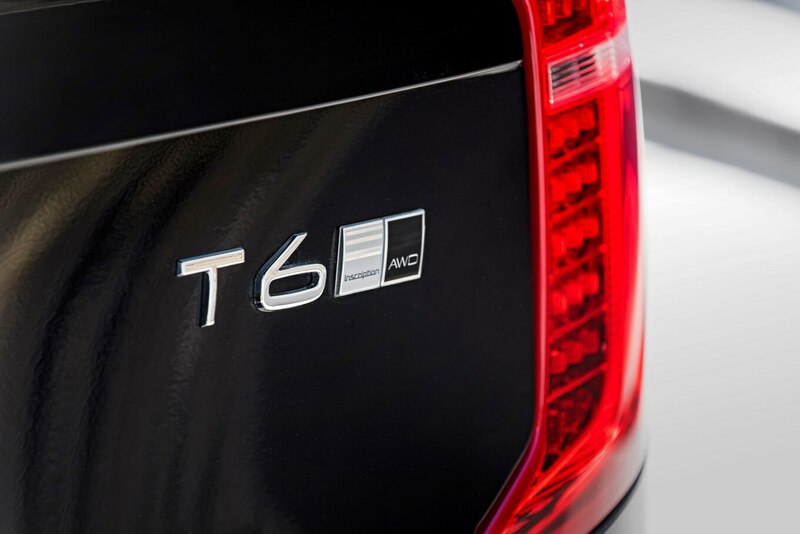 We spent a few days with the T8, and its logbook was filled with nothing but praise for the powertrain. Unfortunately it wasn’t delivered in time for the SUV of the Year competition. 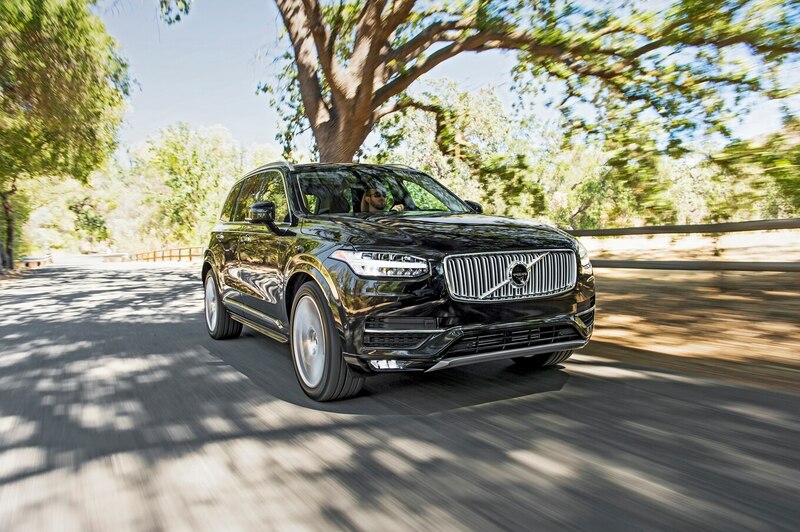 Back to our T6: A few judges commented on its firm ride, but most backed that up with the word “sporty.” With its suspension jacked up high for our abusive off-road course, the XC90 soaked up bumps with aplombâand plenty of clunks and thunks from battered bushings. On the road, where it’s far more likely to be seen, the XC90 fared much better, exhibiting excellent body control and a surprising amount of grip. 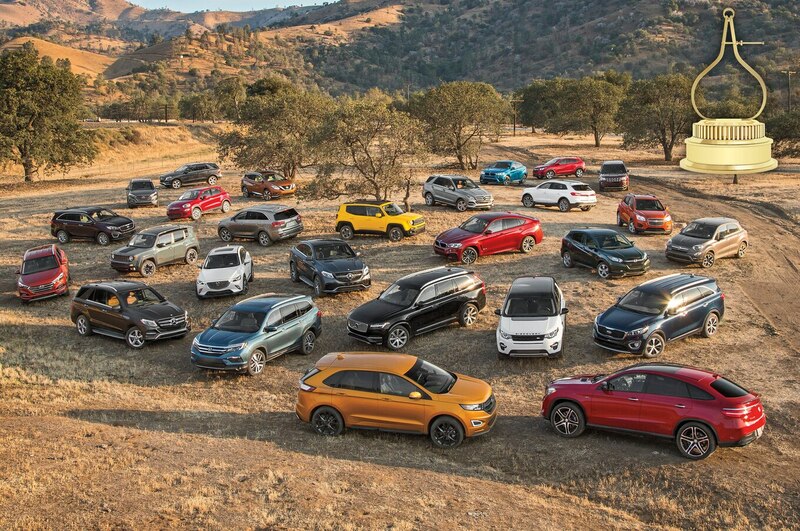 On the skidpad, it bested every competitor except two with BMW badges, two with AMG badges, and one Ford with Sport in its name. The Volvo’s electrically assisted power steering doesn’t provide much feedback, but judges gushed over the natural-feeling weighting. The Aisin-sourced eight-speed auto shifts quickly and smoothly, but long gearing (almost 80 mph in third gear) means it’s leaving speed on the table. 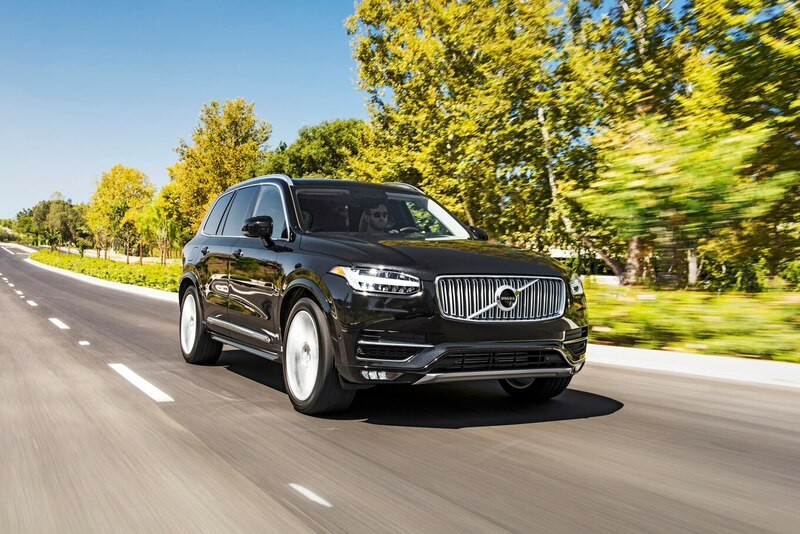 Then again, this SUV is without shift paddlesâit prioritizes hauling families over hauling tail. And the XC90 is exceptionally adept at hauling stuff. 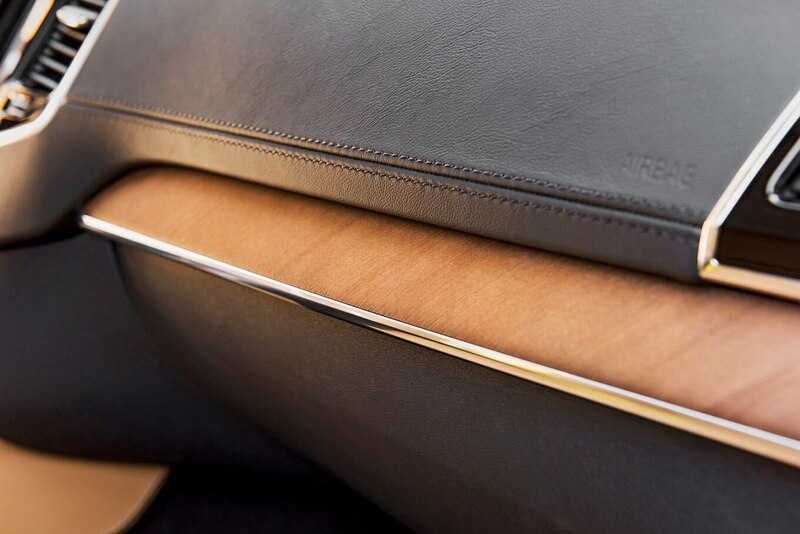 Its front seats are not only gorgeous to look at but also supremely comfortable. Ditto the second row, which has a booster seat cleverly built into the center position and offers controls for its own climate zone. 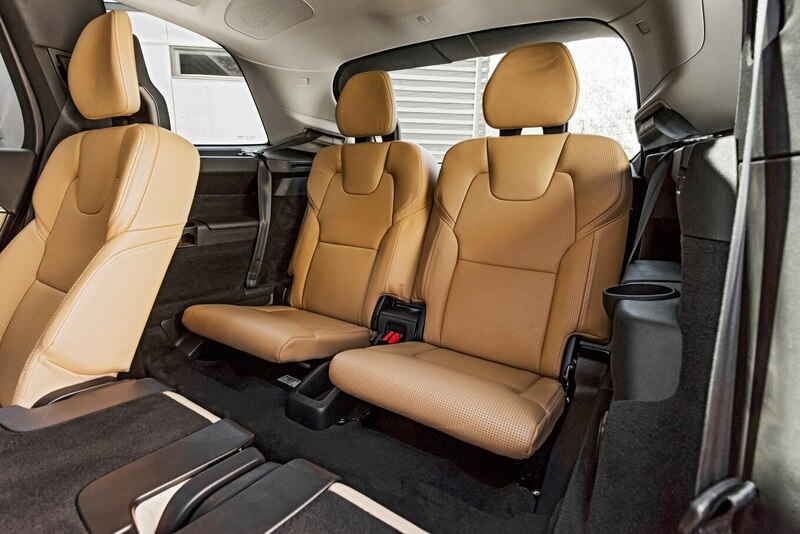 The rearmost row isn’t quite as easy to get to as the Honda Pilot’s, but once you’re back there, the seats fit actual adults. 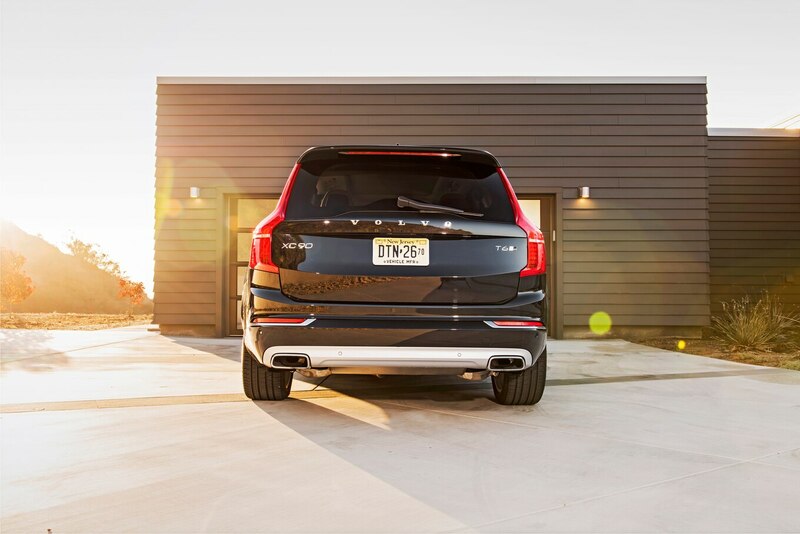 All five rear seats fold forward to create a perfectly flat floor, and our XC90 came with a button by the tailgate that quickly drops the suspension to make loading easier. 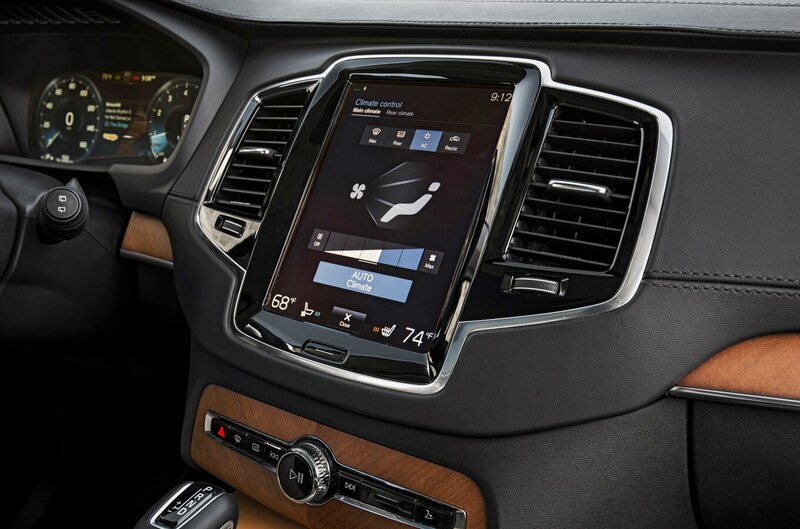 Volvo’s new Sensus touchscreen infotainment system contains most of the car’s secondary controls, and we were impressed by its usability. Walton praised its “responsive screen, zero-latency processor, and sharp graphics,” but he did note that the screen is so large that a perch for your hand would be welcome. Many other judges had the same suggestion. 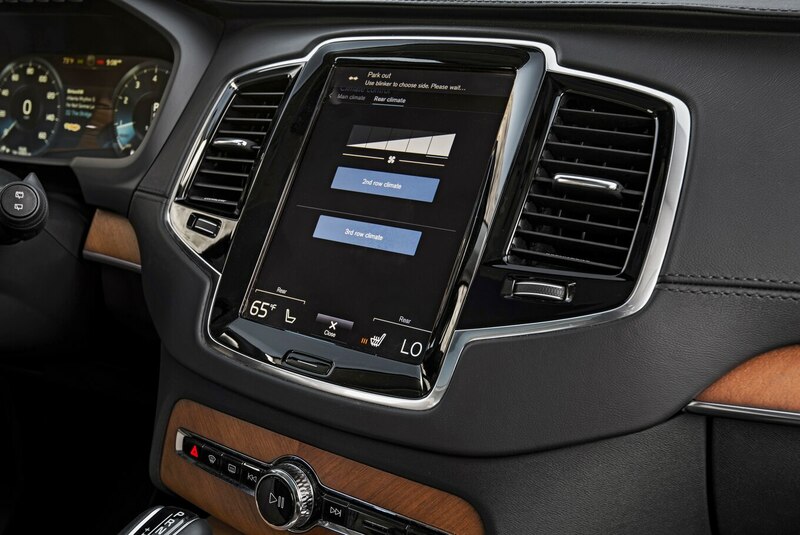 We’d go as far as to call Volvo’s screen almost Tesla-like in its intuitiveness and operation, though it does have some logic misstepsâhaving two setup menus, for exampleâand it’s missing the physical buttons we prefer for HVAC and radio presets. Several judges complained about a lack of power outlets and USB ports scattered around the cabin. Kids these days. 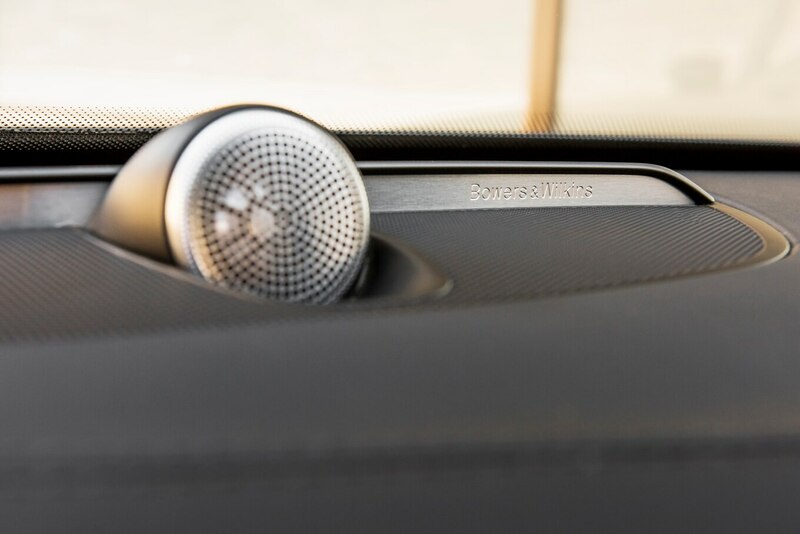 The rest of the XC90’s cabin is packed full of thoughtful touches, such as power windows that start and stop slowly to eliminate any thuds. 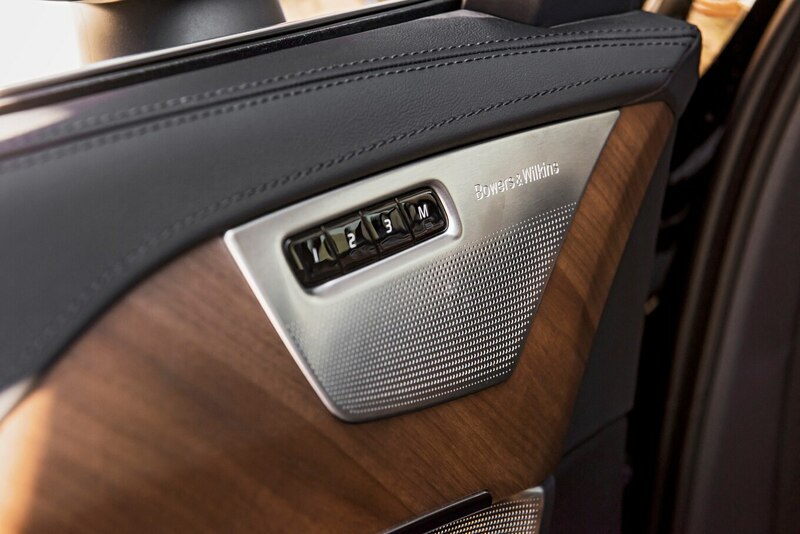 And it’s also full of beautiful featuresâthe shifter is made of Orrefors crystal on the T8, the symmetrical wood on the dashboard has a diagonal grain, and everything you touch feels as nice as it looks. The judges’ sheets were filled with words such as “gorgeous,” “beautiful,” “comfortable,” “fresh,” and “different without being polarizing.” Safe to say we loved it. 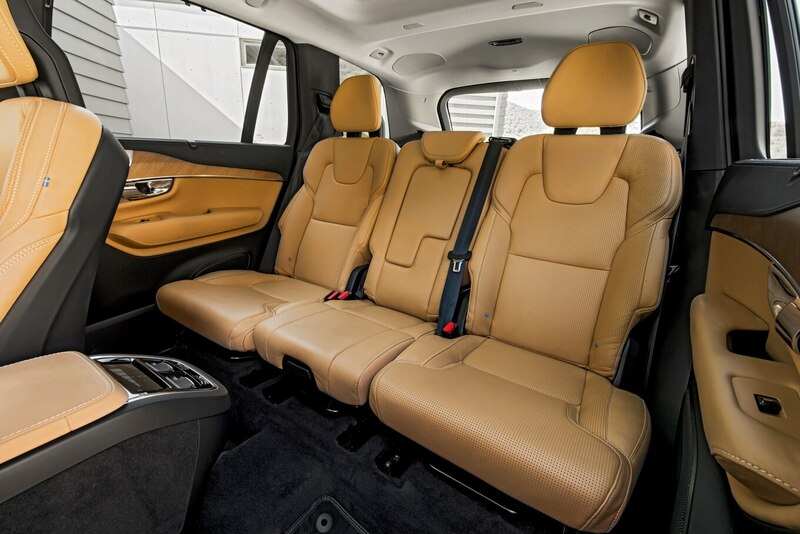 Where safety is concerned, well, this is Volvo, so all seven seats feature seatbelts with pyrotechnic pretensioners, and energy absorbers in the front-seat frames cushion vertical forces during accidents. In addition to the typical complement of driver aids, this truck automatically activates the brakes if its driver attempts to make a left turn into oncoming traffic. 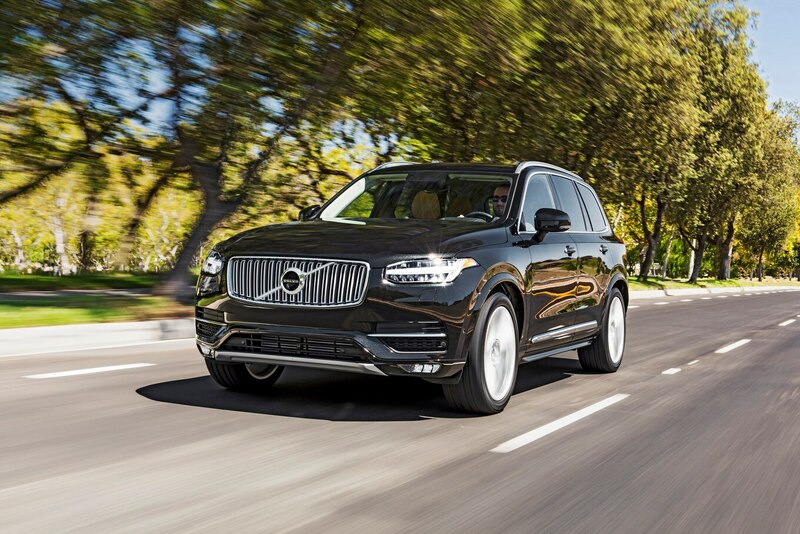 The XC90 earns an IIHS Top Safety Pick+ award. That’s no surprise, as we’re getting close to 2020; Volvo has said no one would be killed or seriously injured in a new Volvo passenger car after that year.